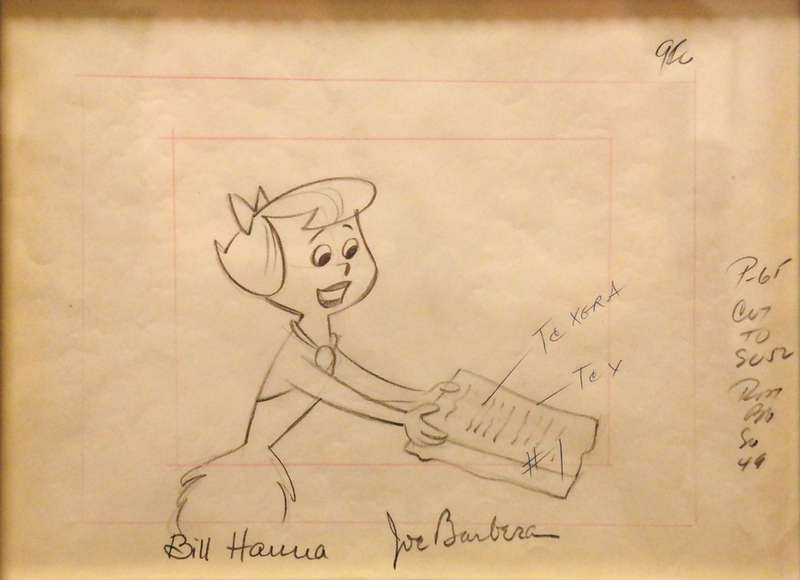 This is an original layout drawing from the Hanna Barbera Studios production The Flintstones: The Bowling Ballet (1962). 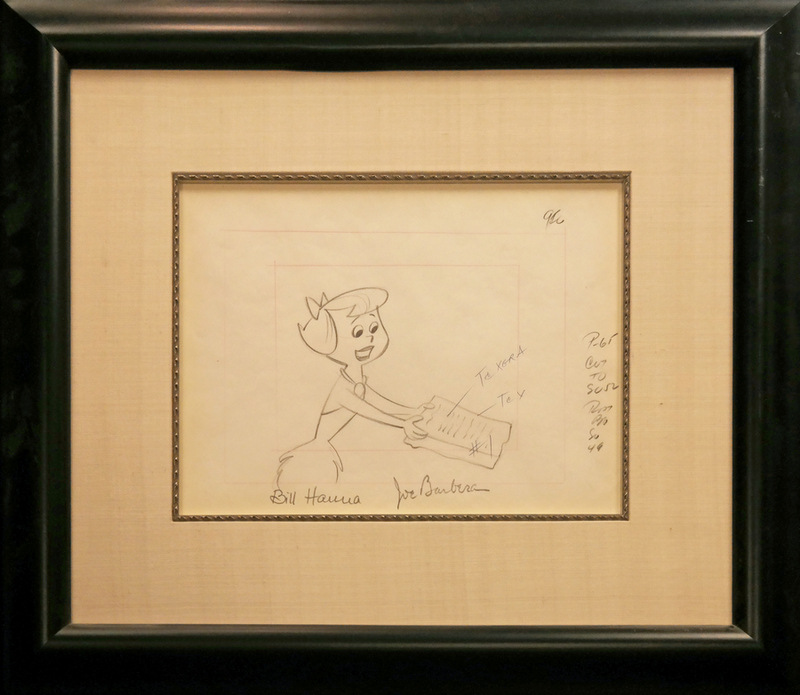 This wonderful drawing features a lovely image of Betty Rubble. It was created at the studio and used during production, representing the development of a specific scene from the episode. The overall measurements of the piece are 18.5" x 21.5" framed with the mat opening measuring 8.5" x 11.5", and the image itself measures 5.5" x 6.5". The drawing is in very good condition, unexamined out of frame.